A brilliant magenta flower clings to a shady cliff. Each of its four petals is deeply notched into three lobes, and four matching straplike sepals are bent backwards in between each petal. This is red ribbons (Clarikia coccina), a showy and beautiful California native. It is endemic to this state, and is mainly found north of Santa Cruz county. 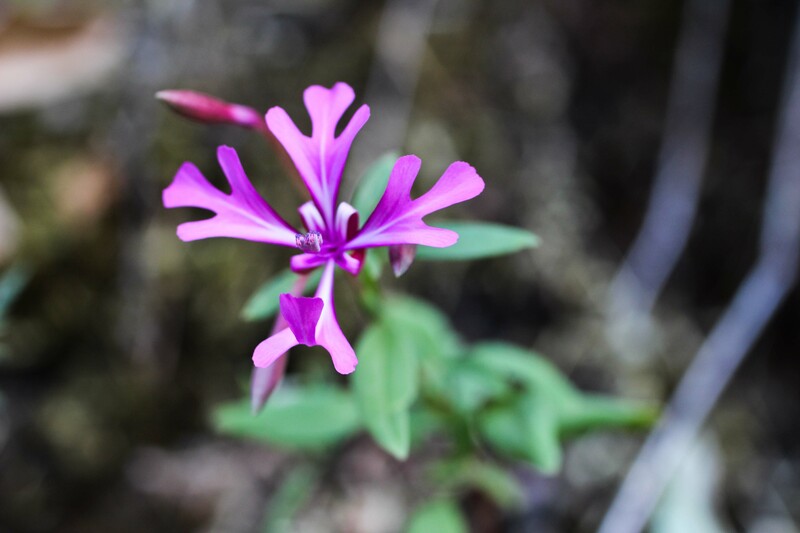 The Clarkia genus in general is a particularly beautiful one, with petals that are often clawed, lobed, or decoratively patterned. Other species have even more elaborately modified flowers, with leaves that look like they have been carved away by an inventive sculptor. I have found no record of red ribbons being eaten used medicinally.